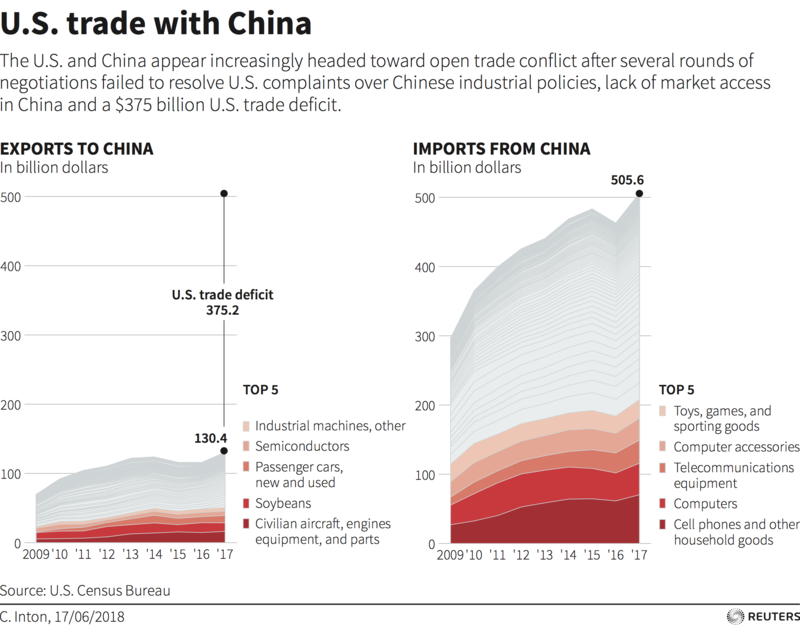 News that the Trump administration plans to impose tariffs on another $200 billion of imports from China has sent a shudder through global stock markets and stoked fears of a slowdown in growth, in both China and the US. In June, the US announced a 25% duty on around $50 billion worth of Chinese imports on the grounds that they utilize intellectual property obtained from US firms through forced technology transfers or theft. China’s Made in China 2025 plan was named and scrutinized in the report. UNCTAD estimates that, like China, more than 100 countries have formal industrial policy strategies, many of which involve joining and benefiting from global value chains (GVCs). Tariff wars undermine growth models that rely on the benefits and efficiencies of globalization. So far, the tariff war has been just that: a tariff war, limited to the use of import duties on goods. Soon, though, the US is expected to adopt legislation that will strengthen the committee that scrutinizes (and blocks) foreign investments in US companies where national security is considered threatened. Chinese investments in critical technology companies are a particular concern. Meanwhile, the Chinese government could make things difficult for US companies operating in China – by imposing regulatory burdens or encouraging consumer boycotts. It could choose to block mergers, such as the one proposed between the US firm Qualcomm and Dutch firm NPX. The EU could consider retaliating against US banking and insurance companies and taxing digital services, hurting US tech companies.